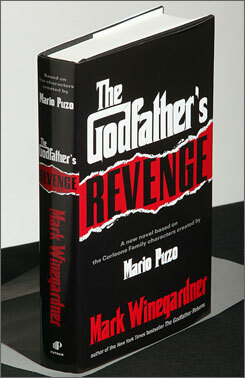 My fellow Miami alum, Mike Winegardner, has written two books that fill in the blanks and continue Mario Puzo's The Godfather and the three films. Besides being a great read, his books, The Godfather Returns and The Godfather's Revenge, are definitely movie script worthy. Winegardner gives some interesting plot twists for The Godfather loyalists. Tom Hagan as a member of Congress. Don Michael supporting a presidential candidate who later gets killed in office. Sonny's grown-up daughter in a romance with Johnny Fontane. He also brings some new angles. He invokes a secret retreat under Lake Erie northwest of Cleveland in his book (I'm told this actually exists or existed.). His character, Nick Geraci, is a bit Sonny Corleone with the cunning of Don Vito mixed with a bit Indiana Jones. Let's see it in a movie, or two.